Mocha Maple Glaze cabinets provide the heart of your home a gorgeous design statement with their distinctly rich and dark facade. RTA Cabinet Hub offers this premium line of cabinetry that boasts not only of exquisite beauty but also strength to withstand the everyday use and abuse common in busy kitchens. And all these delightful can be enjoyed at the most reasonable prices. The appeal of these cabinets roots from the natural showcase of beauty with its tight, fine grains that are smooth to touch. This delicate feature is accentuated by the generous coating of that delicious dusky brew finish. 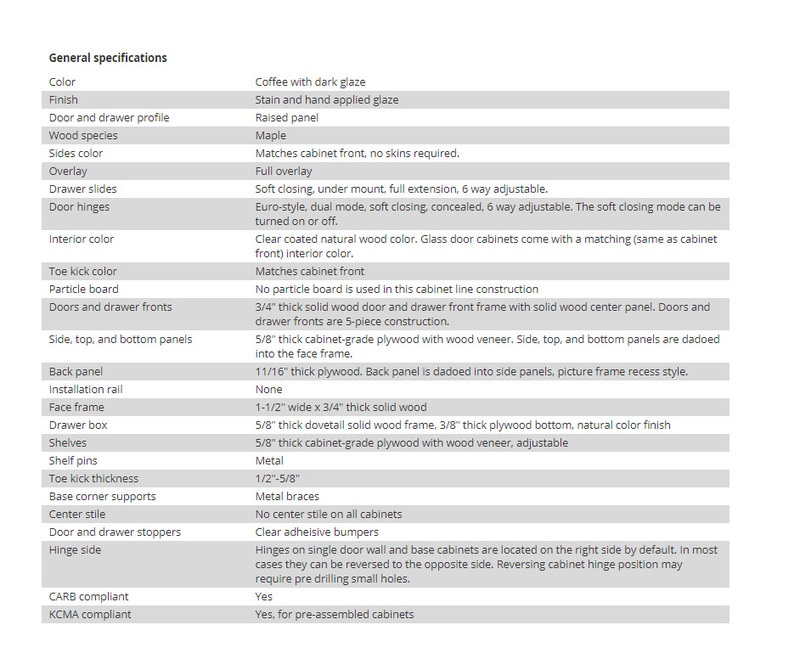 Thus this collection of cabinetry will definitely set your kitchen apart from others and allow the heart of your home to emanate with individuality that is uniquely yours. 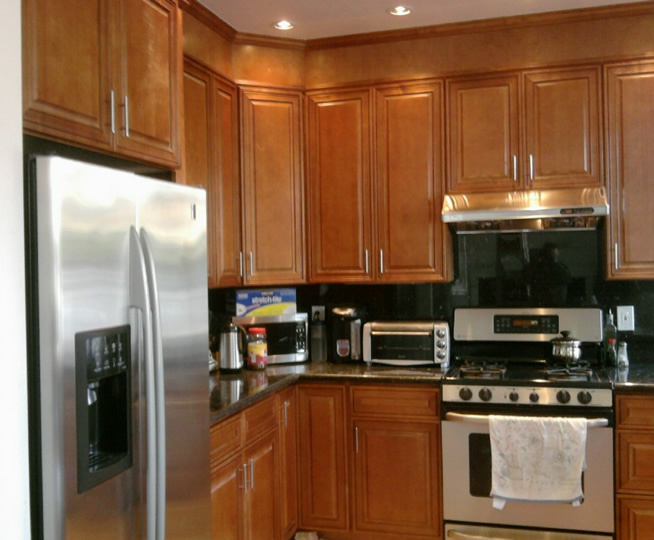 The luscious finish is perfectly paired with the classic lines of raised door panels and full overlay design making Mocha Maple Glaze cabinets the perfect choice for a wide variety of kitchen styles from traditional to contemporary. 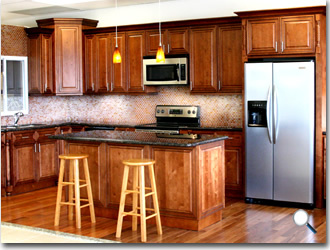 Mocha Maple Glaze cabinets are manufactured from the highest quality timbers that lend durability to your cabinetry. Made of all-wood construction, this remodeling addition will surely withstand the constant changes in temperature and moisture levels in the area as well as all the mess and spills. 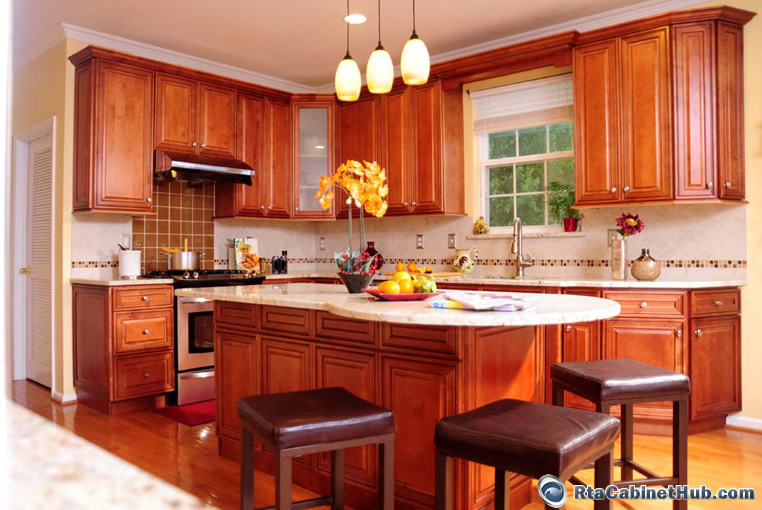 Lasting for many years, opting for such choice will get you the best value for your remodeling budget. RTA Cabinet Hub showcases a luxurious range of beautiful collections and all these great deals are sealed off with friendly and prompt customer service and the smoothest buying transactions. 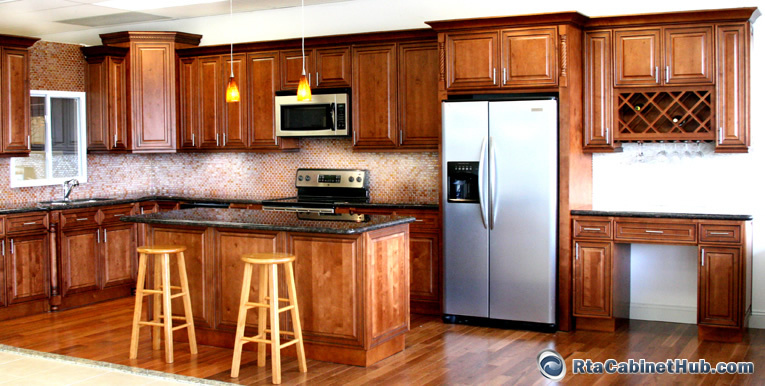 Take advantage of all the high quality features only all wood cabinetry can bring. 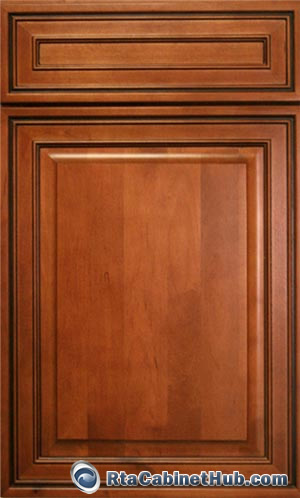 Mocha Maple Glaze product is identical or similar to Cafe Mocha Glaze and Marco Maple Mocha Glaze cabinet lines offered by other stores.